Want to fly FPV in Los Angeles? There is a new proposed ruling by the LA city council that would completely ban all FPV flights including those done with a VLOS spotter and even in AMA sanctioned flying fields. If you are found flying FPV in Los Angeles you risk a $1,000 fine and/or 6 months in jail. Hi and welcome to my very first post as a contributing member of Drone Coalition. I’m excited to be here and have some great topics lined up for the Fall. As an Engineer I’m more interested in the engineering behind these machines and the new technologies in development for their advancement. We are already into the third generation of drones in this rather young industry. Within this generation the Apps (Android and iOS) are dominating the scene with their advancements in flight operations. Now more than ever the operator has everything at their fingertips. Give it time and the term “Pilot” will be replaced with “Operator” or “Programmer”. The user will program the drone’s mission and it will autonomously complete it. With that said let’s get right into my first multi-part series on the engineering behind the drones. Although there are many types all drones, basically all operate under the same principles and mechanics. What better way to teach this than to actually tear down the most technologically advanced drone currently on the market, the 3DR Solo. But first my disclaimer. Disclaimer: Although not necessary to fly the drone, tearing it apart is to be done at your own risk and will void all manufacturer’s warranties. There is a chance doing so will permanently damage the drone and it will become an expensive static model only to be displayed in your office. While offering an amazing learning opportunity, it is not for the faint of heart and the user needs to be aware of the risks. Good. With that scary statement out of the way let’s begin our operation. Recently I was lucky enough to find a Solo by 3D Robotics in my local Best Buy. With two independent 1Ghz computers in the system, this drone by far has more processing power than what we have seen become available to the consumer. Although the firmware is still pretty green, anticipation is high for what the future holds for this machine. 3D Robotics is a US drone company founded by Technologist and former Editor in Chief of Wired Magazine, Chris Anderson. What distinguishes 3D Robotics from other manufacturers is the open source policy that is similar to companies like: The Linux Foundation, Red Hat, and Mozilla. 3D Robotics is also a strong supporter of the DIY (Do It Yourself) Maker movement spreading across the country. Their drones are meant to be tinkered with, taken apart, and dissected. Currently there is a whole community of developers writing the code base for this machine. Unlink most, when I first got my Solo I didn’t fly it. I decided to see what was under that injection molded shell. I got out my IFixIt tool kit, took a deep breath, and began my 3DR Solo tear down. (hit link above and see all files with Solo in their name. What is the DroneSpeak website? Unmanned aerial-vehicle systems (UAS) and other unmanned vehicle systems (UVS). 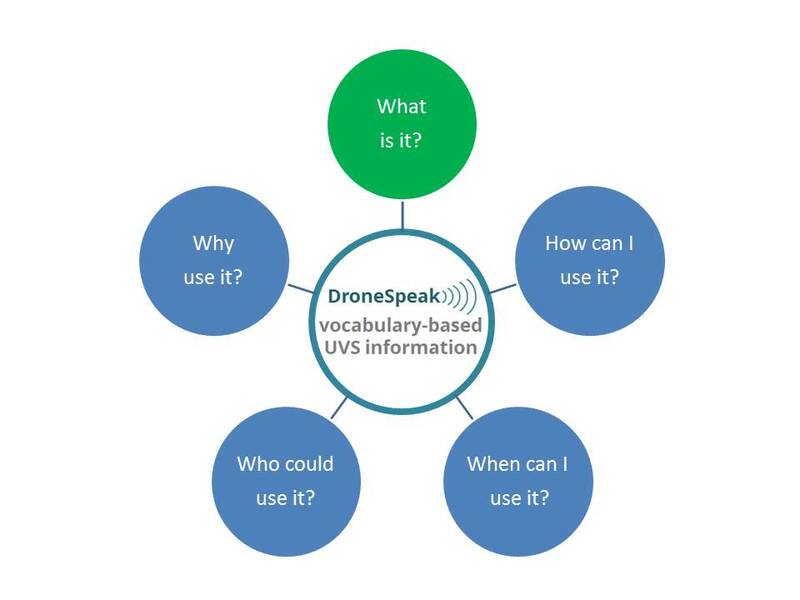 Website information has been organized by using the DroneSpeak™ Vocabulary, a managed hierarchy of defined terms for describing a UVS in its developmental and operational context. Unlike a typical dictionary website, the DroneSpeak Vocabulary is based on the terminology and structure of a system model. The hierarchical relationship of the DroneSpeak terms in the system model enables you to zoom in to focus on information about a specific UVS topic, from a type of hardware or software component to the overall context of a UVS or UVS project. Currently, most terms in the DroneSpeak Vocabulary have been defined to support descriptions and conversations about civilian drones, unmanned aerial vehicles (UAV), and unmanned aerial-vehicle systems (UAS). More information will become available as the description page for each UAS term is extended to include an overview, suggested links, and other information. The DroneSpeak Vocabulary will be extended beyond aerial vehicles and systems to include terminology for six (6) other categories of UVS, for example: unmanned water-vehicle systems (UWS) and unmanned hybrid-vehicle systems (UHS). How can I use the DroneSpeak website today? Explore the website’s menu bar (hover over top-level and lower-level menu items) and visit one of the pages. Explore one of our posts about a month of DIY Drones blog posts, to help you become familiar with the terms in the hierarchical DroneSpeak Vocabulary. Use the menu under ‘Archived Posts’. Use the Search box on any page. When can I use the DroneSpeak website? When I want to learn more about civilian drones, UAVs, UASs, and other unmanned vehicles or UVSs. When I am thinking about buying and operating a ready-to-fly drone or other UAV. When I am planning to assemble or develop an unmanned aerial-vehicle system (a UAS). When I am searching for technical information on DIY Drones or other websites. When I am tired of looking for useful information across many pages of not-useful Internet search results. Who could use the DroneSpeak website? Anyone who is interested in unmanned vehicles. Why use the DroneSpeak website? The Glossary of DroneSpeak Terms, an alphabetical list of the current DroneSpeak Vocabulary terms and their definitions, including links to other definition or description sources where appropriate. Results from reviewing the 2013 DIY Drones blog posts. By month, you can select a UAS term and see related links to blog posts on the DIY Drones community website. See which blog posts are related to a potential UAS topic for posting on the DroneSpeak website. The Glossary of UVS Industry Terms, an alphabetical list of terms that are relevant to the evolving civilian UVS industry. As with all older content on our sites and others – things may have changed, so be sure to read the older articles and then navigate to the front page of Droneflyers.com, which will generally feature the newest content.